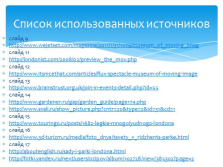 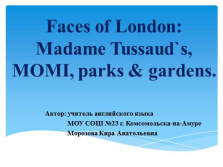 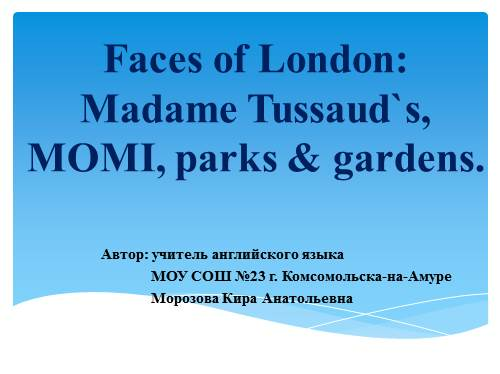 Faces of London: Madame Tussaud`s, MOMI, parks & gardens. 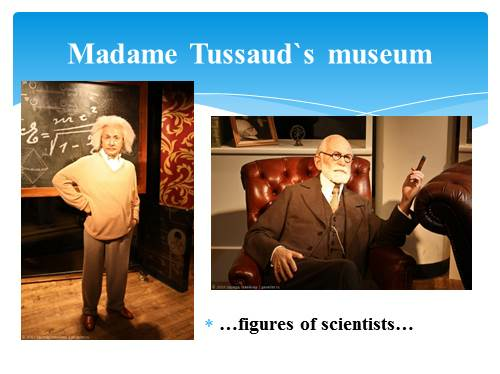 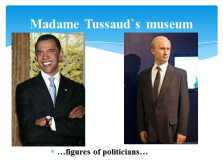 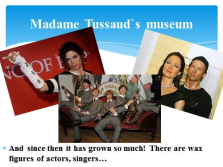 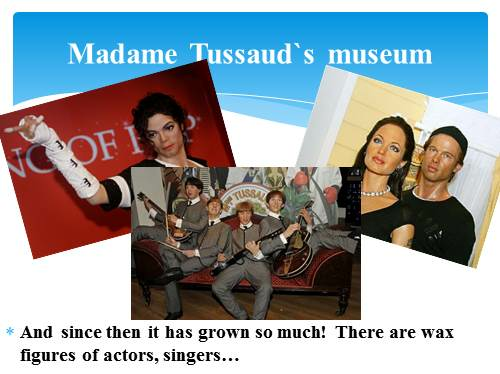 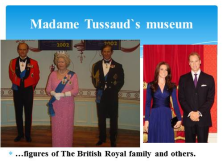 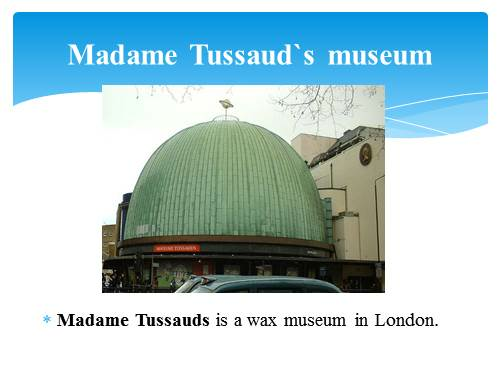 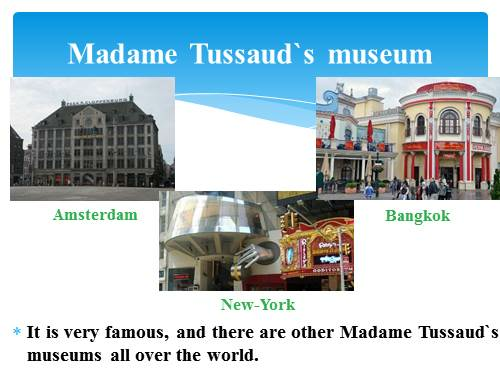 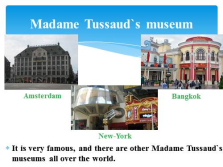 It is very famous, and there are other Madame Tussaud`s museums all over the world. 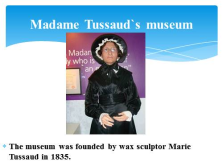 The museum was founded by wax sculptor Marie Tussaud in 1835. …figures of The British Royal family and others. 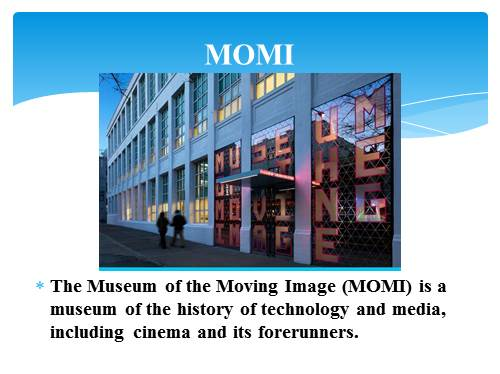 The Museum of the Moving Image (MOMI) is a museum of the history of technology and media, including cinema and its forerunners. 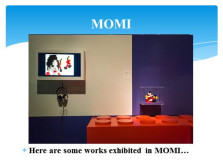 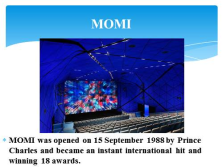 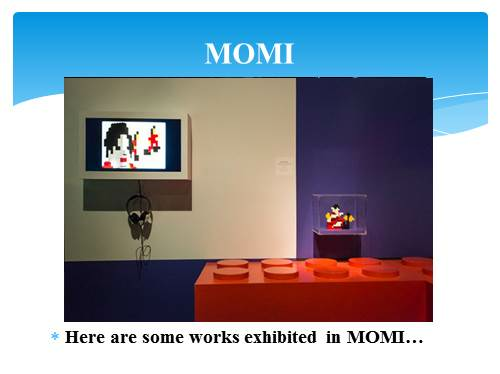 MOMI was opened on 15 September 1988 by Prince Charles and became an instant international hit and winning 18 awards. 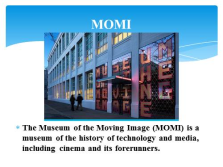 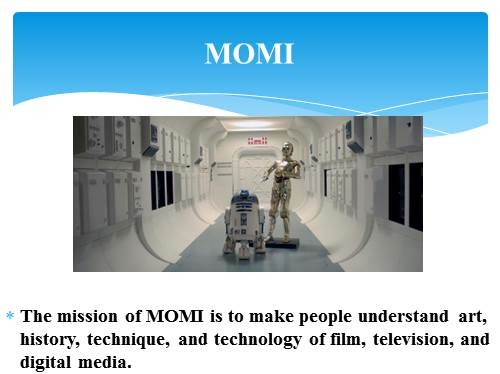 The mission of MOMI is to make people understand art, history, technique, and technology of film, television, and digital media. 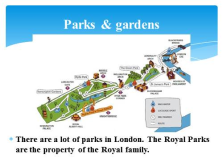 There are a lot of parks in London. The Royal Parks are the property of the Royal family. 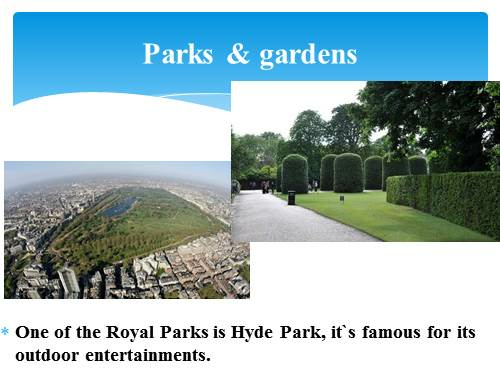 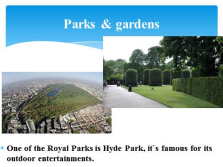 One of the Royal Parks is Hyde Park, it`s famous for its outdoor entertainments. 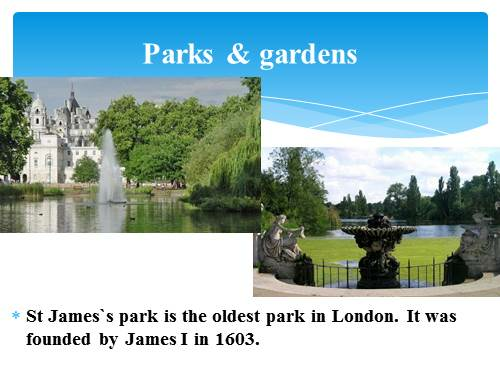 St James`s park is the oldest park in London. It was founded by James I in 1603. 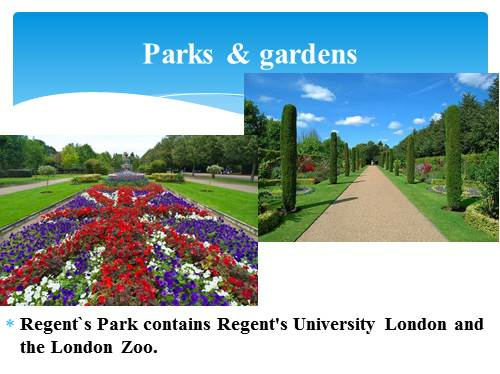 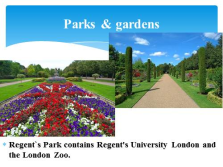 Regent`s Park contains Regent’s University London and the London Zoo. 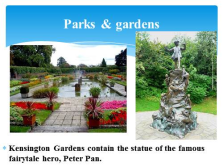 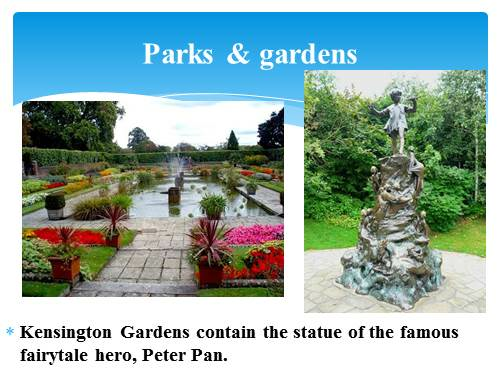 Kensington Gardens contain the statue of the famous fairytale hero, Peter Pan.